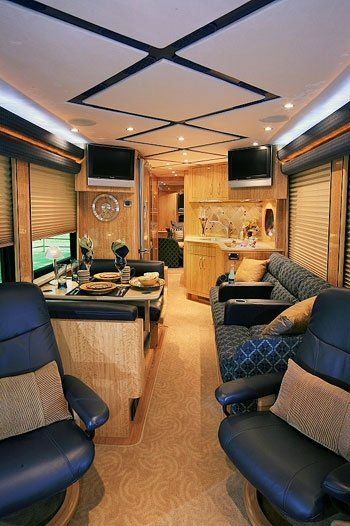 Creative Mobile Interiors builds beautiful executive coaches with all the amenities of home. 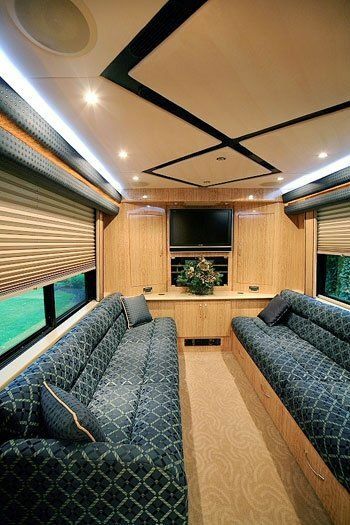 This gorgeous custom bus conversion provides clients with an elegant meeting space on wheels, as well as an elegant living environment. 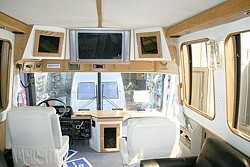 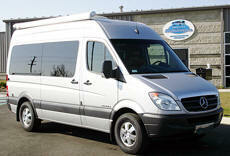 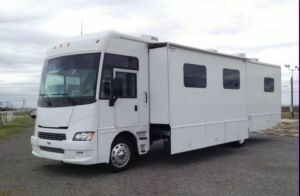 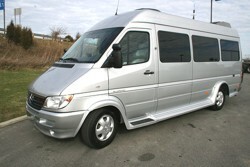 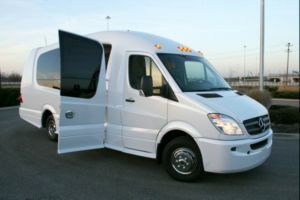 The owners of this custom coach offer both fractional shares in the motor coach and leasing options. 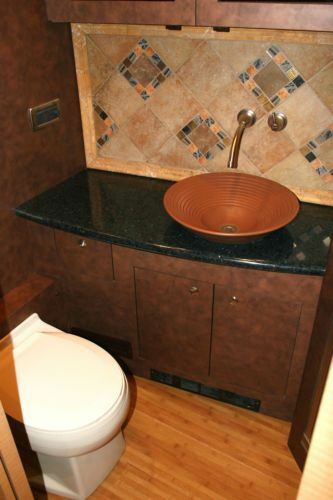 Spacious living quarters, a classy bathroom and a full shower are just some of the incredible features offered aboard this coach. 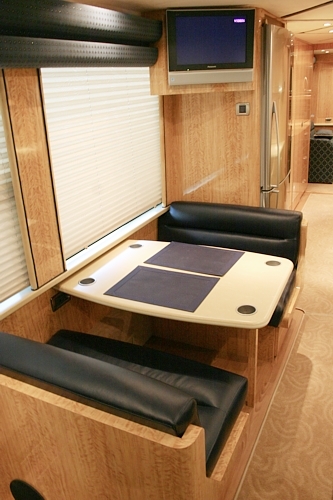 There is a unique rear lounge system that converts the two rear couches into twin beds, or motors them together for a center aisle queen bed. 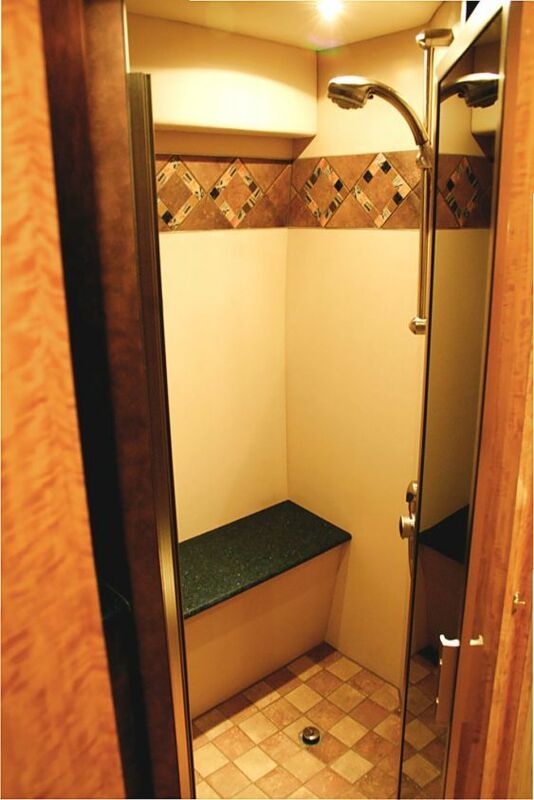 The back room also serves as a 80-square-foot meeting room. 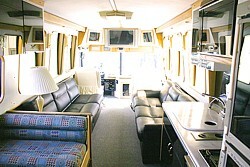 The front lounge has four swivel chairs, a dinette, and a theater-like couch. 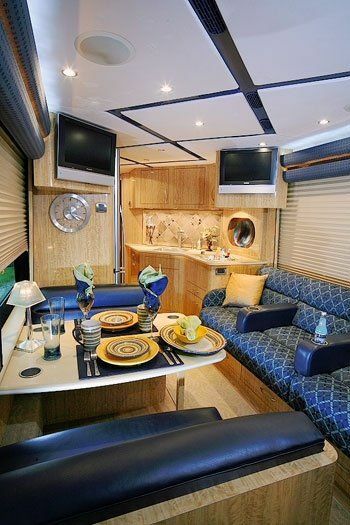 Comfort and elegance has never looked better! 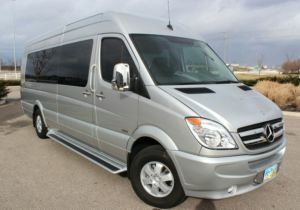 Features include five flat screen TV's, two high definition in-motion satellite receivers, two Denon audio systems, high tech video switchers, and in-motion web browsing capabilities. 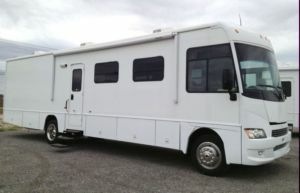 Built on the prestigious Prevost H3-45 Chassis, this coach is luxury at its finest.